I was so delinquent in my blog last week. Work got a little hectic so the blog got away from me. My fault totally. This weekend I was able to get back to it. I was researching the Canadian National Parks. They’re on my list to visit this summer so I thought I would get a jump-start on what to see. Canada is a pretty diverse place, much like the United States it has desert, forest and natural wonders galore. When I was in college I saw a PBS special on the Canadian Rockies and their National parks. I kept thinking I have to go there! Canada has a list of 44 National parks, to do them all in one summer is pretty ambitious, so I compiled a list of the top 5 that I want to see and I thought I would share them with you. Jasper National Park, Alberta: I’m a sucker for lakes and water of unreal colors. Jasper National park seem to have that in droves. Situated in the Canadian Rockies, the park covers just under 11,000 kilometers of diverse wilderness and is home to over 1,000 kilometers of hiking trails. Banff National Park, Alberta: Banff and Jasper share a border and it’s hard to determine where one starts and another ends. 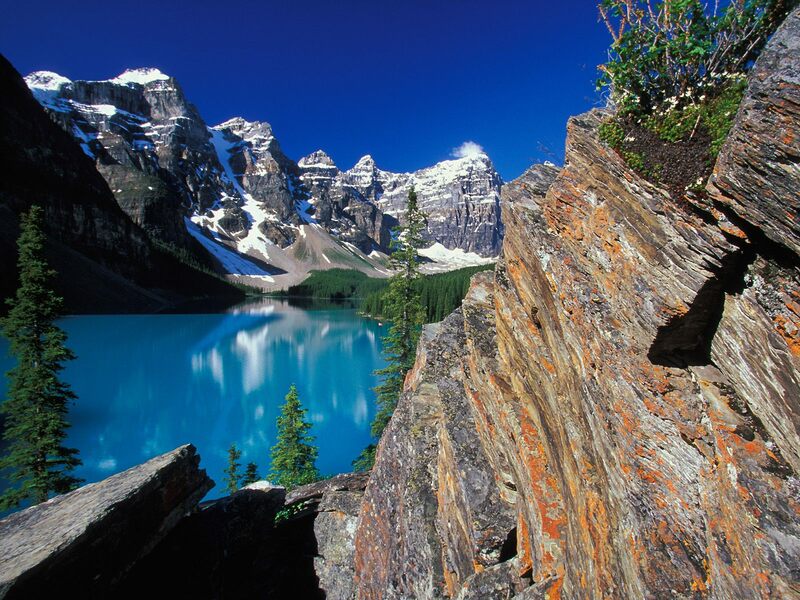 Most people are familiar with Banff because of Lake Louise, and is one of the major reasons I want to visit. Banff also is one of the best places to go white water rafting in the Rockies, a past time I love! The park covers just under 7,000 kilometers and contains something for all adventurers from golf and kayaking in the summer to dog sledding and skiing in the winter. Pacific Rim National Park, British Columbia: Looking for a little adventure. Pacific Rim National Park has a suspension bridge you can traverse over the forest. There are three different parts to this park. The first is the Long Beach unit, which boasts over 10 miles of sandy beach. The next is the Broken Group Island unit, which consists of over 100 islands and is only accessible by boat. Lastly is the West Coast Trail Unit which contains 47 miles of a backpacking route along rainforest, cliffs, waterfalls, caves, and beaches. Who wouldn’t want to take on this adventure? Mingan Archipelago, Quebec: We’re heading over to the Eastern part of Canada for the next one, Mingan Archipelago is situated along the gulf coast of the St. Lawrence river. The park is a sculpture gallery of limestone formations that will intrigue anyone. These limestone stacks have created grottos for visitors to enjoy on a hot day. Torngat Mountains National Park, New Foundland and Labrador: With just under 10,000 kilometers of land this National park contains the highest peaks in Canada, a fjord, and the ability to view the Northern Lights at certain times of the year. While there you can also see glaciers, polar bears and caribou. The newest park in the system seems to have the most to see. In addition this is the only park in the world where the entire staff is Inuit. Make sure you experience the native culture while you’re viewing polar bears from a safe distance. So that’s my list. Which Canadian parks have you been to? Which ones are you hoping to hit this summer? Until next time.